Do not forward, copy, or otherwise disseminate information (including the author, subject, or content) contained in a post to anyone outside of The HUB community (MSCPA members) without prior written permission of the author. This site is provided as a service for the members of Massachusetts Society of Certified Public Accountants. Massachusetts Society of Certified Public Accountants is not responsible for the opinions and information posted on this site by others. We disclaim all warranties with regard to information posted on this site, whether posted by Massachusetts Society of Certified Public Accountants or any third party; this disclaimer includes all implied warranties of merchantability and fitness. In no event shall Massachusetts Society of Certified Public Accountants be liable for any special, indirect, or consequential damages or any damages whatsoever resulting from loss of use, data, or profits, arising out of or in connection with the use or performance of any information posted on this site. Do not post any defamatory, abusive, profane, threatening, offensive, or illegal materials. Do not post any information or other material protected by copyright without the permission of the copyright owner. By posting material, the posting party warrants and represents that he or she owns the copyright with respect to such material or has received permission from the copyright owner. In addition, the posting party grants Massachusetts Society of Certified Public Accountants and users of this site the nonexclusive right and license to display, copy, publish, distribute, transmit, print, and use such information or other material. Massachusetts Society of Certified Public Accountants does not actively monitor the site for inappropriate postings and does not on its own undertake editorial control of postings. However, in the event that any inappropriate posting is brought to the attention of Massachusetts Society of Certified Public Accountants we will take all appropriate action. Massachusetts Society of Certified Public Accountants reserves the right to terminate access to any user who does not abide by these guidelines. The CPATrack.com Website is the exclusive property of the Massachusetts Society of Certified Public Accountants, Inc. (MSCPA) In addition to the copyright restrictions, absent written authorization from the MSCPA, the commercial dissemination or use, or the use or dissemination, of information obtained from this Website is unauthorized and strictly prohibited. The MSCPA will under no circumstances ever share e-mail addresses with any other party. All e-mail correspondence from the MSCPA contains a link for the user to unsubscribe from future communications. 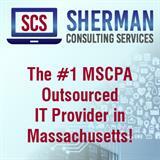 This service is provided by the Massachusetts Society of Certified Public Accountants. (MSCPA) The MSCPA accepts no responsibility for the opinions and information posted on this site by others. The MSCPA disclaims all warranties with regard to the information posted on site, whether posted by the MSCPA or any third party. In no event shall the MSCPA be liable for any special, indirect or consequential damages or any damages whatsoever resulting from loss of use, data or profits arising out of or in connection with the use or performance of any information posted on this site. The posting of resumes on the Massachusetts Society Of Certified Public Accountants, Inc.'s ("MSCPA") Website is a free service made available to members of the general public. Neither the MSCPA nor any of its members makes any warranty, express or implied, or assumes any liability or responsibility for the operation of the Website resume posting service or the content of any postings. By posting your resume CPATrack.com, you are agreeing to waive, release and hold harmless the MSCPA from any and all claims arising from, or related in any way, to the Website, the Website resume posting service or your individual resume. The following sections provide some disclaimer information concerning the general operation of the Website resume service. Nothing contained therein or elsewhere on this Website, shall be deemed to limit, in any way, the waiver and release effectuated by the posting of a resume. Upon posting, it is the intention of the MSCPA that resumes will remain posted for six months. Once the six-month period ends, the MSCPA sends an e-mail warning that the resume has been removed from the site. The MSCPA assumes no responsibility concerning the maintenance or renewal of resume postings. It is the poster's responsibility to monitor the status of their resume. Contact Mona McCarthy to have your resume removed. Your resume will be accessible to the 10,000+ members of the MSCPA who have access to restricted pages of the MSCPA's Website with the use of a username and password. While the MSCPA intends to limit access to MSCPA members, it is possible that other parties may obtain access to the resume service. The MSCPA does not provide any security or confidential protection for the information posted on the resume service. It is the responsibility of the poster to use caution in disclosing confidential or other information. The MSCPA will undertake to post the resume in the form in which it is provided. The format of your resume may be altered in the posting process. You should preview your resume and return to the form to make changes. While the MSCPA will undertake an effort to make corrections that are brought to its attention, it is the responsibility of the resume poster to monitor their individual posting for accuracy of both content and format. The MSCPA reserves the right, in its absolute discretion, to remove any and all content of postings made to its Website resume posting service. The service is for the posting of resumes only. Do not post non-resume information. Do not post any incomplete, false, or inaccurate information. As noted, the MSCPA reserves the absolute right to remove content from the resume posting service, including content which it deems to be incomplete, false or inaccurate.